Listen up because I am about to share with you the secret to removing stains from your porcelain sink. This is the absolute easiest way to clean your porcelain sink and it requires NO scrubbing! 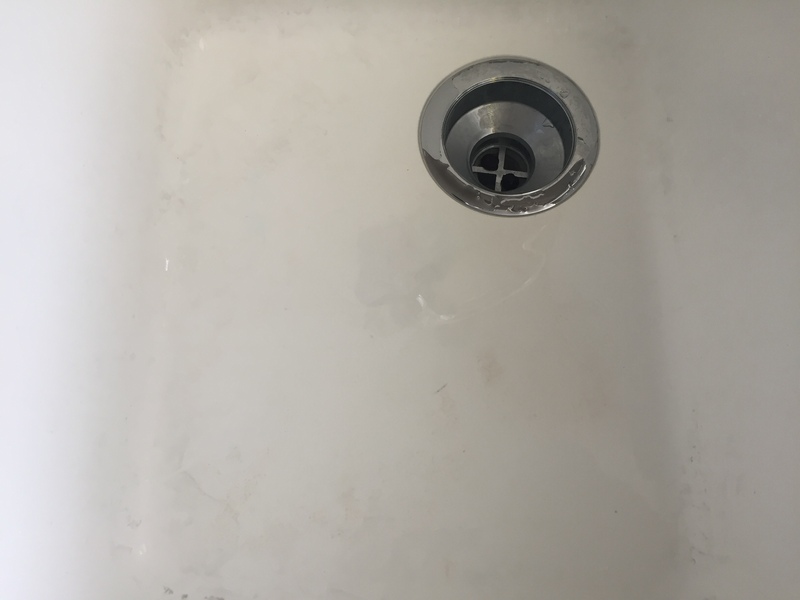 I have lived in many homes, and had all kinds of sinks-stainless, ceramic coated, marble and even vinyl, but the absolute worst to keep clean is a white, porcelain sink! I have one of these right now in my kitchen and everything stains it! It always looks terrible! I have scrubbed it with comet, magic eraser, fresh lemons, liquid bleach and many other over the counter solutions, but nothing gets all of the stains out – until now! 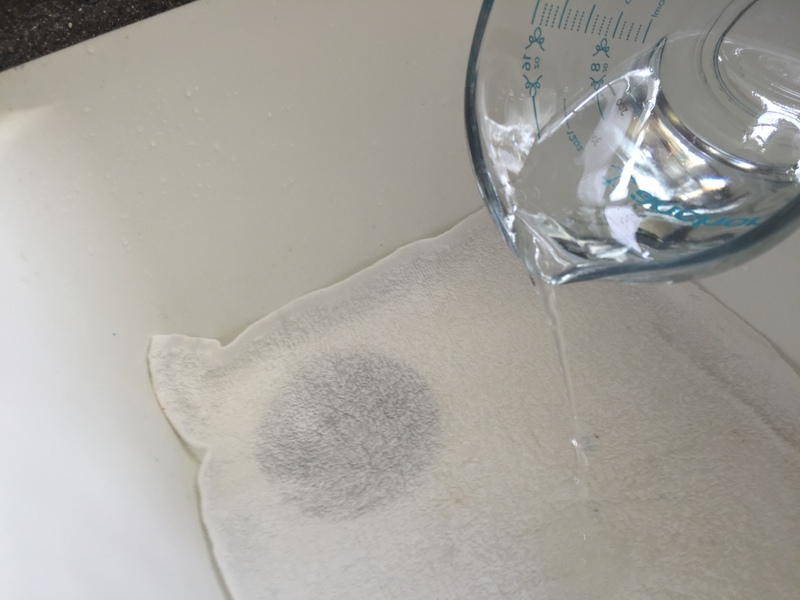 Here is the secret to removing stains from your white, porcelain sink. This is not my own idea, and I am not sure where I heard it, but I will share it with you! The secret? A simple, white hand towel. Yep. That’s right. A white hand towel is the secret to removing stains from your white, porcelain sink! Sound too easy? It is! I was on the right track when I tried liquid bleach. It could handle many of the stains but not all of them – until now! The problem was that the bleach did not stay in contact with the stain long enough to work it’s magic, but now you can just follow a few simple steps and WHAM! Shiny, white, stain free porcelain sink you will be proud to show off! 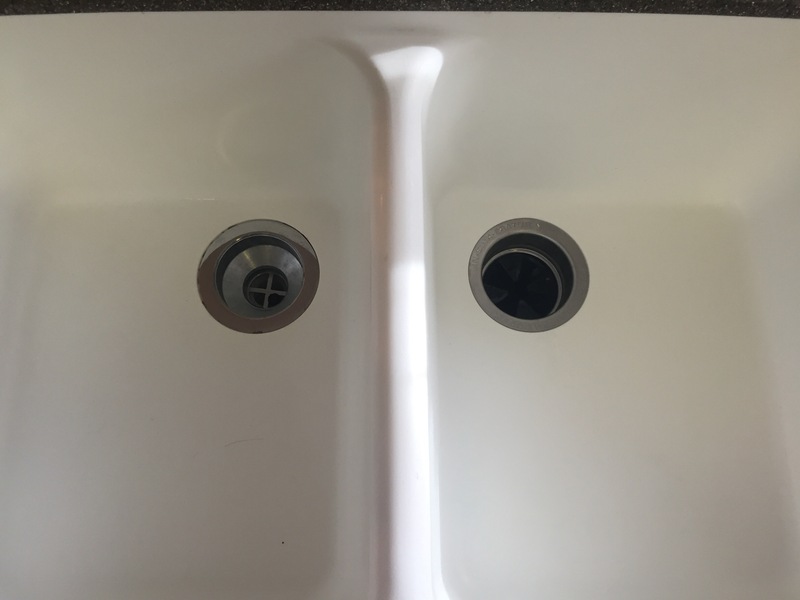 I took some pictures of my stained kitchen sink. It is hard to tell from the pictures but one of the sinks has blueberry stains in it and something red, ketchup, maybe? 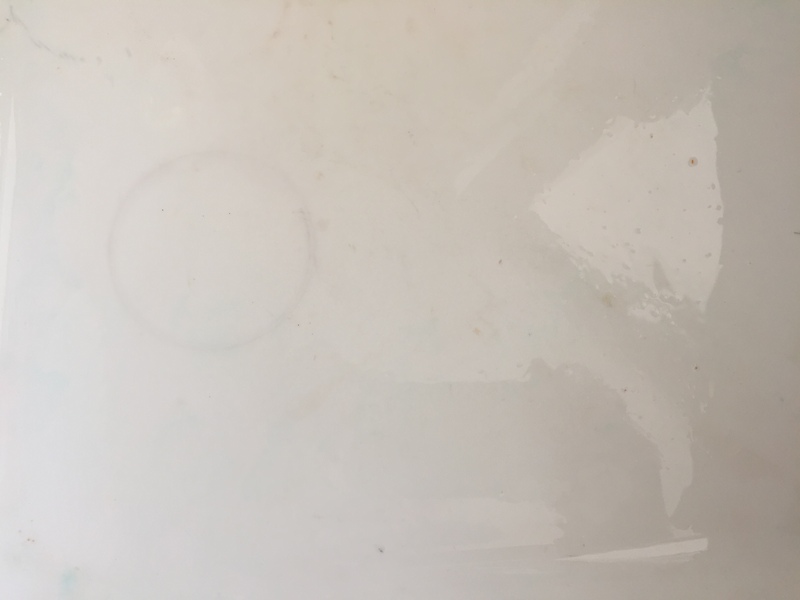 The other sink has a yellow mustard stain, (Someone rinsed their plate but not the sink-shame on them) and something left a ring in the bottom of the sink. So let’s get it clean, shall we? Blueberry stains and ketchup are not match for this cleaning secret! Mustard and a nasty ring? Still no match for this cleaning secret! You will need liquid bleach and a white towel or dish cloth large enough to fit in the bottom of your sink. Bigger is better than too small.That is all. If you have a small or enclosed kitchen crack a window, or turn on the fan over your stove, for ventilation. Wipe out the sink to rid it of any particles and wet down your towel and ring it out tightly. Lay the towel in the bottom of the sink, making sure to fit it into the corners. Pour 1/2 to 1 cup of liquid bleach evenly over towel and let sit for 30 minutes. (This is why it is important that you use a white towel). 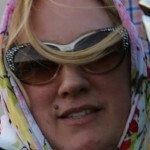 If the towel dries out in that time, you may want to pour a little more bleach over the towel. 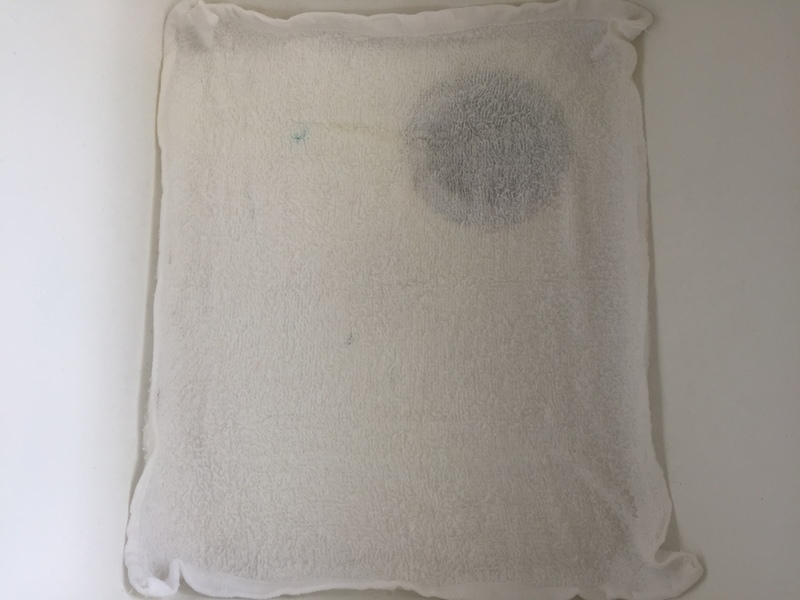 Stubborn stains might take a little longer, just replace the towel and let it continue soaking. When complete, remove towel, rinse and wring it out, and rinse out the sink. Want an easy, no scrub way to clean your microwave? We have that too!